So… what do we know about Mormons? 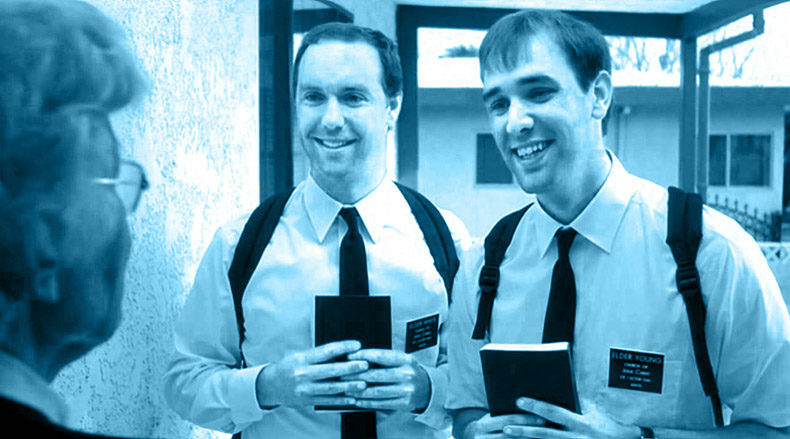 When The Book Of Mormon came out, the Mormon church (to their huge credit) put adverts in the tube saying “You’ve Seen The Musical – Now Read The Book”. A religion with delightfully daft beliefs which are actually, when you think about it, not really any dafter than others. Loosely related to Christianity although being baptised as a Mormon doesn’t make you a Christian, unlike all other Christian denominations. So Mitt Romney I think was the first ever non-Christian presidential runner. The musical is extraordinarily funny and weirdly inspiring. Nicest, hardest-working, most honest and polite people you’d ever want to meet, but also the clique-iest. If you’re not a member, you will never actually become friends with them, and you will certainly never be considered as a dating partner – no matter how long you worked together, how hard you tried to be nice to her, how well you hid your agnosticism, how much you tried to be the squeakiest-clean little goody two-shoes you can possibly be, that gorgeous little redhead WILL NOT CONSIDER GOING OUT WITH YOU. Disclaimer: This opinion may or may not be based on personal experience.